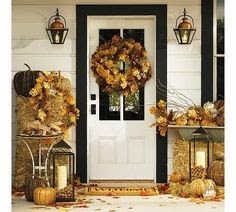 I'm finally getting around to planning my fall porch decor...hey as long as it's up before Halloween, I've done okay, right? 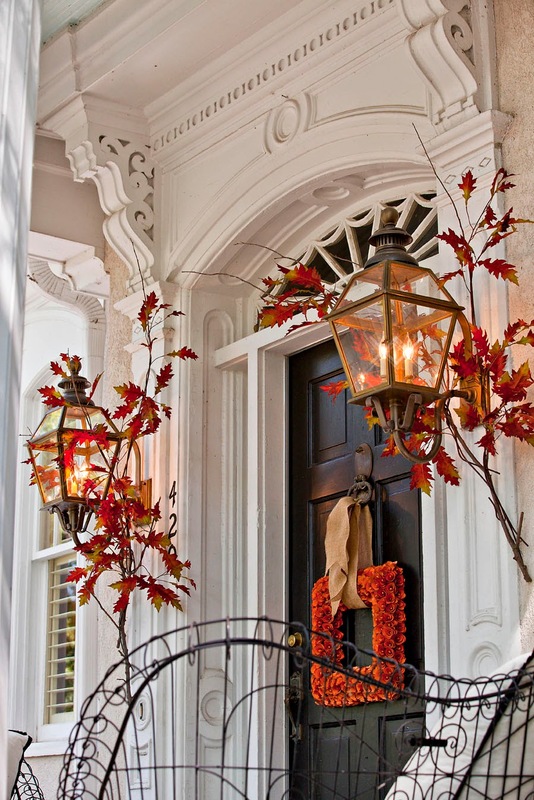 The beauty of this porch is the simplicity of the decor. The branches are magnificent! 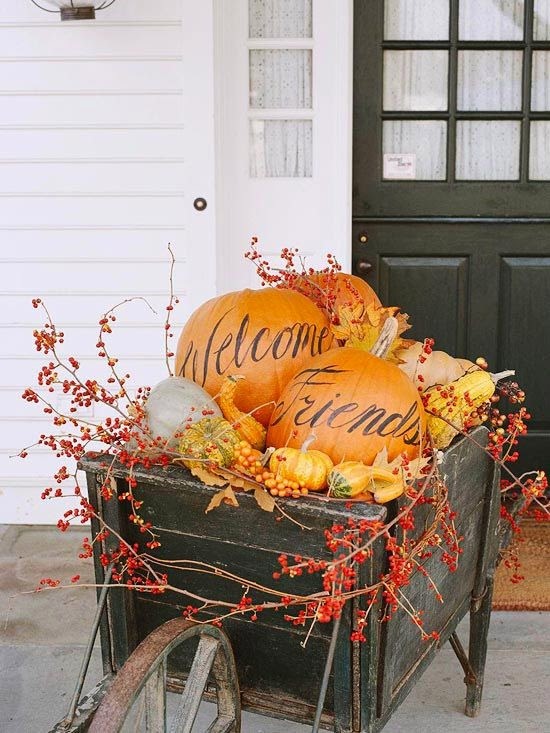 I love the idea of calligraphy on these pumpkins...such a fun way to welcome visitors. 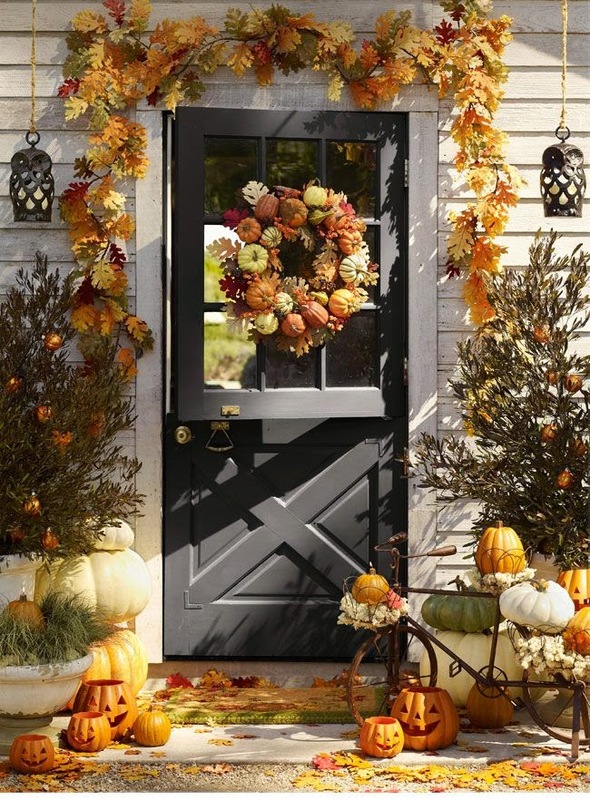 I love the leaf garland and the cute pumpkin lanterns strewn about on this porch. 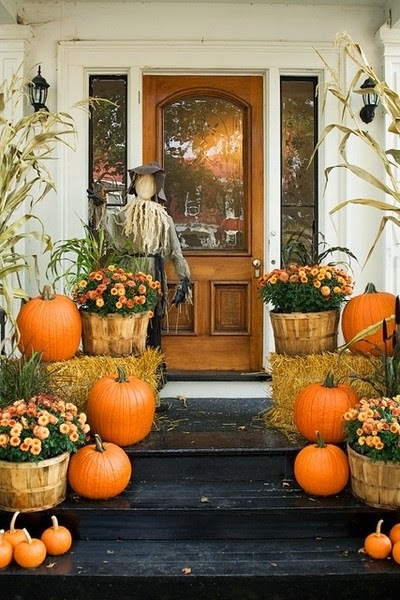 Hay bales, pumpkins, corn stalks and mums. Quintessential fall. The neutral tones of this porch are what caught my eye. Even in autumn, I'm still a neutral girl at heart. 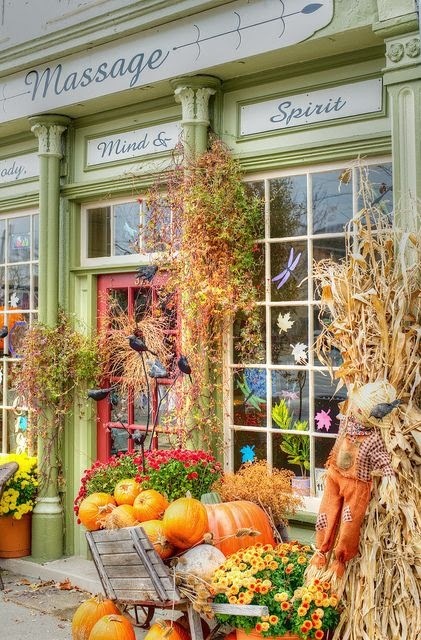 Okay, not really a porch, but I love the overflowing feel of this store front. It says "harvest" for sure!